5 Mistakes I Made when Founding a Charity (& How to Avoid Them). When you start your own charity, you envision the massive impact your efforts will have on the world. It’s easy to get caught up in your mission and forget about the people actually donating money and helping your program run—after all, you feel passionately about this, so why wouldn’t they? Running a charity takes more than passion and a common goal. To date, my brother and I have operated two charitable organizations. One failed badly, but the other continues to succeed, thanks to the lessons we learned from the first. Our first charity, Painting with Purpose, sold digital copies of paintings created by children with special needs. The idea was solid. We took a portion of the proceeds from each sale and donated that money to the charity each child represented. We then took another portion to create a sweepstakes program. People got unique artistic works, donated to charity in the process and gave themselves the chance to win cash prizes up to one million dollars. Sounds like a great deal, but the whole operation came crashing down. After the failure of Painting with Purpose, we retooled our approach and came up with Bike for a Kid, which is part of our current business. Through Bike for a Kid, we donate a portion of the proceeds from our primary business to buy bicycles and helmets for kids in need. It’s still a charity, and we’re still the ones running it, but it’s become vastly more successful than Painting with Purpose was. When we started Painting with Purpose, we thought other charities would love to partner with us. We even had meetings with other organizations asking them to spread our message through easy mediums (a mention in a newsletter, a small link on a website, et cetera). Surprisingly, other charities were hesitant to endorse us. They didn’t want to risk their reputations by vouching for us without knowing if we would live up to our word. You can’t rely on others to spread your message in the beginning. Until you do something that shows you are trustworthy, people won’t trust you. Painting with Purpose was more than a new charity; it was an entirely new concept. We thought mixing charitable giving with cash prizes would incentivize people to give, but we discovered that our novel approach actually confused our audience. If you want to try something different, you need to establish credibility first. People are willing to give a new business a try (and even a new idea), but not both at the same time. 3. Find the right partners. At Painting with Purpose, we tried to do most of the work ourselves. At Bike for a Kid, we decided we needed help with the day-to-day operations, so we sought a partner. Because our primary business kept us busy, we didn’t have the time and energy to dedicate to the basic operations that make good charities successful. Unfortunately, some of our first partners did not organize the best events, which harmed our image and put a bad spin on the charity’s purpose. We quickly learned the value of a great partner and eventually found one who boosted both the image of our charity and the effectiveness of our mission. 4. Understand that giving isn’t easy. Don’t slack off on standard precautions because you assume people naturally respect charities. At one of Bike for a Kid’s events, we purchased 75 bikes to donate. By mistake, our supplier sent us 150, virtually doubling the amount of stock we brought to the school where we were holding the giveaway. When the event ended, we realized attendees had stolen 50 of the extra bikes. The incident upset us both greatly, but we learned a valuable lesson: Even in the spirit of giving, you must be cautious. 5. Generate donations without asking directly. People can donate to Bike for a Kid either by purchasing wheels from our shop (after which we donate some of the proceeds), or by giving a donation directly. 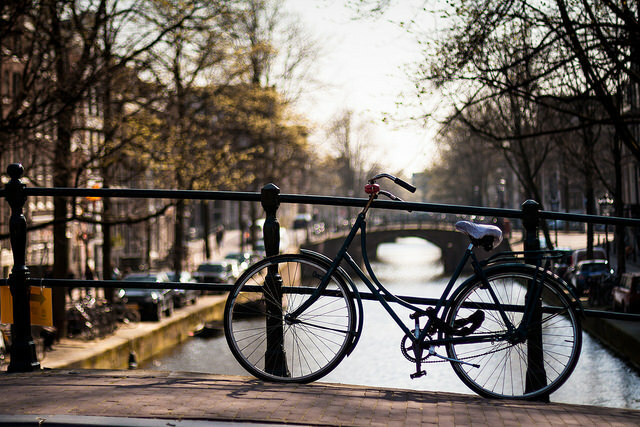 To date, we have donated roughly a thousand bicycles and discovered that around 98 percent of those donated funds came from wheel sales. People are willing to give their hard-earned money to a good cause, but to incentivize them further, you have to give away some of your own money as well. As you start your own charitable organization, follow your passion and these tips. Running a successful charity takes a lot of work, determination and patience, but if you do it right, you can make amazing things happen. Today’s Mantra: Refuse to be a Bystander, Become Aware & Take Action. 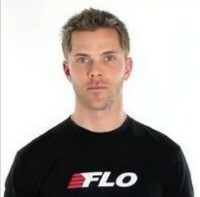 Chris Thornham is a co-founder of FLO Cycling, which engineers aerodynamic cycling wheels. The company uses computational fluid dynamics software to develop its wheels and verifies its results in a wind tunnel. Less than three years after launching, the company has sold 10,000 wheels to customers in 51 countries. Chris enjoys learning, triathlon training, skiing, hiking with his dog and spending time with family.